To learn more about our multisolving program, read What is Multisolving?. FLOWER is a simple tool for analyzing, comparing, and evaluating policies and projects. It helps determine the project’s potential for multisolving, or achieving multiple benefits, and the extent to which the project addresses equity. You can download FLOWER and find more information about it on the FLOWER toolkit page. The organization mentioned in the video is Plant It Forward Farms. Watch this video exploring the dynamics of community investment and displacement, created as part of our multisolving work in Atlanta. Made with input from the Just Growth Circle and the Partnership for Southern Equity. 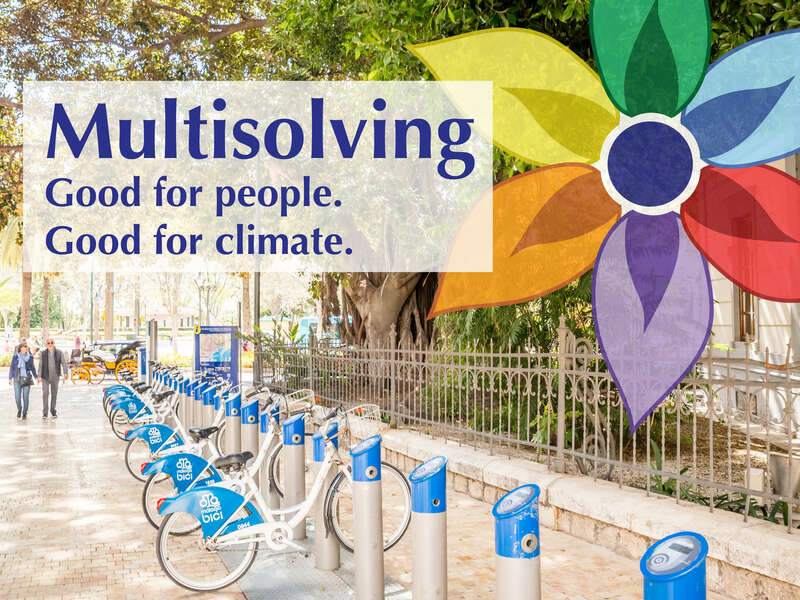 In this video, Beth Sawin introduces the concept of multisolving – systemic solutions that protect the climate while also improving health, equity, and well-being. Recorded in Paris during the COP21 climate negotiations, Beth discusses the potential of multisolving to address several problems at once, and the impact of multisolving on the Paris climate talks.